College art gallery lobby, acrylic gesso, linen, oak, brass, gold plexiglass mirrors, vinyl, LEDs, lasers, video projection, photo light boxes, fog machines, speakers, line stanchions, flyers, champaign glasses, glitter, models. 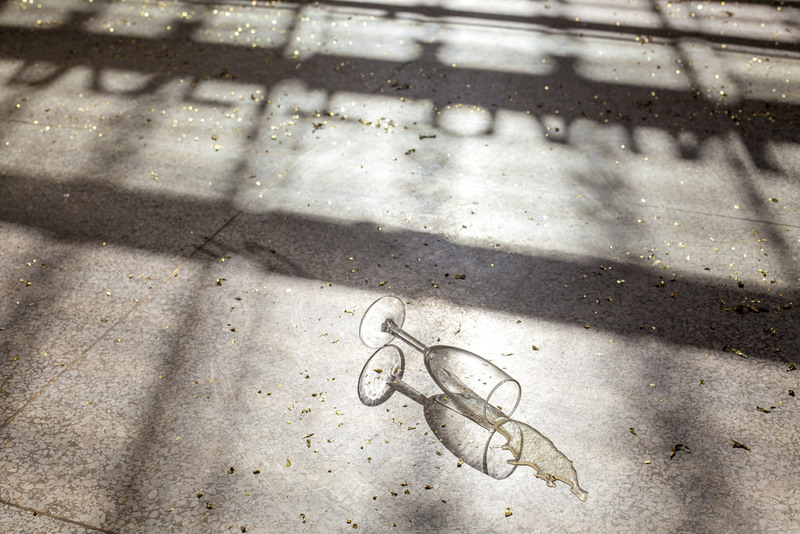 "Examining the relationships and disparities between the history of painting, trademark, and entertainment, Thomas Willis’ installation, Retrofit Painting Presents… , brings a representation of the hedonic Las Vegas Strip to the academic Jewett Art Center with his conceptual art brand, Retrofit Painting. Willis’ Retrofit Painting, part parody, part praise, is a designer label and online store created to market and sell paintings crafted as objects for everyday use. The label’s “luxury products” range from ready-to-wear painting shoes, bags, sunglasses, hats and other custom accessories. During the summer of 2015 The Cosmopolitan of Las Vegas invited Willis as their summer artist-in-residence. He transformed the appearance of their art studio (positioned among shops and restaurants) into a “high-end retail boutique.” In this installation Willis displayed the brand's paintings-as-objects to the casino visitors as a retail outlet, while alluding to the problems and perceptions of flatness on the Las Vegas Strip. For the Jewett Sculpture Court Gallery Willis has surrounded the “products” and “promotional materials” of Retrofit Painting with the cultural elements of a Las Vegas nightclub to create a theatrical setting for viewing the art. Within the context of Las Vegas and beyond, Retrofit Painting appropriates high production media, commercial advertising, minimal design, and capitalist business practices to expound on and bring into question the potency and consumption of fine art in the market place. Visit the piece’s website www.retrofitpainting.com, or www.thomasraywillis.com for more information on the project. 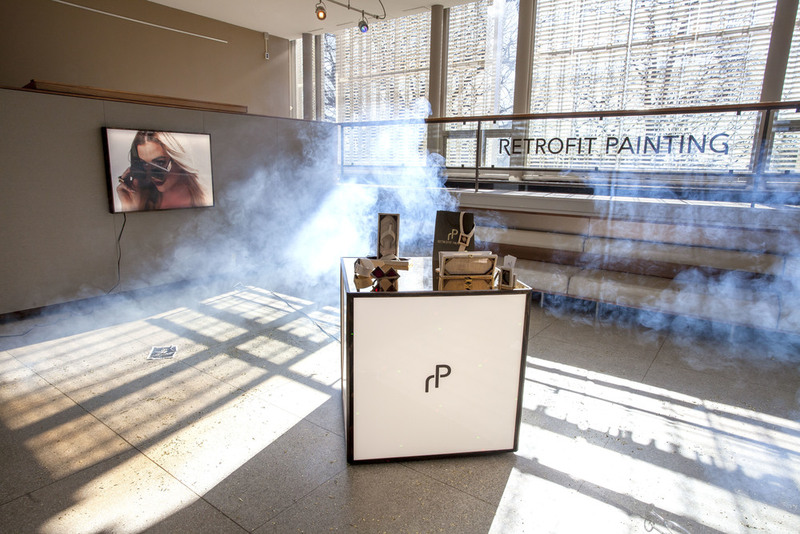 Retrofit Painting Presents… was made possible by the Art Production Fund of New York, Cosmopolitan of Las Vegas, Blanc Agency, and Wellesley College."